This is the fourth Adam Dalgliesh book, published in 1971, and the first I read. It was the beginning of a love affair with PD James and following her recent death, I decided to re-read them all. The Nightingale in question is not Florence but Nightingale House, a nursing school at John Carpendar Hospital, Heatheringfield. At a student demonstration of patient feeding by intra-gastric tube, the nurse who substitutes as the patient dies a ghastly death. It is assumed to be an accident. 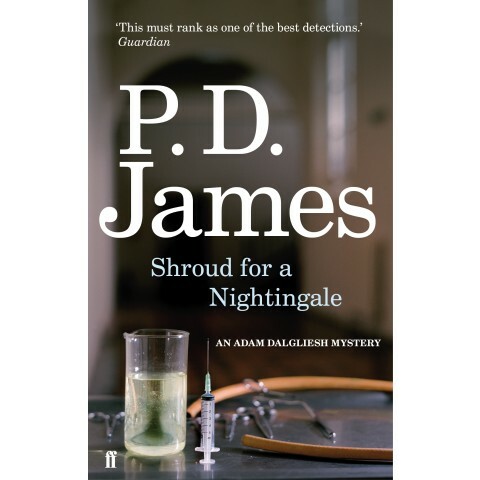 When a second student nurse is found dead in her bed, her whisky nightcap the assumed culprit, Adam Dalgliesh is called in from Scotland Yard. The brooding Victorian pile which is Nightingale House, set amongst woods which are rumoured to be haunted, is an atmospheric setting for a murder story involving young emotional women. So when there are more attacks and a fire, it somehow seems inevitable given the setting. Did I work out the identity of the murderer? I had an early suspicion which I then forgot as I became involved in the various possibilities which Dalgliesh explores. PD James’s books are not formula whodunits, this story incorporates medical procedure, World War Two, ballroom dancing, blackmail. The story twists and turns as we see events unfold through different points of view though whether the truth is being withheld we do not know until the end.